LTC enthusiasts have eagerly awaited the coin’s ascension above BCH, going so far as to build a website dedicated to monitoring the event. And, Briefly on Dec. 14th, Litecoin had overtaken its rival Bitcoin Cash as prophesized. Bitcoin Cash was battered following the BCH Hash Wars, allowing Litecoin to gradually overtake the weary coin. When Bitcoin Cash and Bitcoin S.V. split, it had lost much of its value as the community and price were divvied between the two forks. Recently, however, Bitcoin Cash has seen a resurgence. The cryptocurrency made a 70 percent rebound since Dec. 15th, surging from $82 to $140. The ‘Flappening’ is a play on words on the previously anticipated “flippening,” where Ethereum would overtake Bitcoin by market capitalization. Although such an event never happened, Litecoin enthusiasts adopted the terminology by embodying its founder, Charlie Lee, into the term. Lee’s online nickname and persona as the ‘Chikun’ makes the vernacular appropriate. 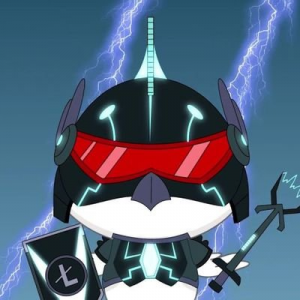 In some instances, Litecoin acts as a test network for upgrades before they go live on Bitcoin’s core network, providing as a proving ground for the more conservative Bitcoin protocol. Due to these synergies, both communities tend to interact harmoniously. Meanwhile, Bitcoin Cash claims that it is the version of ‘Bitcoin’ that anonymous creator Satoshi Nakamoto had envisioned, as peer-to-peer electronic cash. To further that end, Bitcoin Cash has engaged in a marketing campaign leaving some users confused. BCH purchased the bitcoin.com domain name and brought its presence to the r/Bitcoin Reddit community. Many Bitcoin enthusiasts found the activities unsavory. Recently, Bitcoin Cash has been able to take full advantage of the market upswing and recover from the recent fork. Now that Bitcoin Cash has comfortably reclaimed its place as number four by market cap—with Litecoin sitting at eighth—time will tell whether Bitcoin Cash remains unflappable.